“I’m here to try to slow down climate warming and to ensure that my daughter and my baby have the best planet possible,” said Charlotte, from the eastern city of Strasbourg. “There’s still time,” she added, as she marched with her 15-month baby, while pregnant with her second child. In Brussels, police estimated that around 70,000 people marched from the city’s Gare du Nord to the European Parliament. ?May: Future of Europe summit in Sibiu, Romania ?? 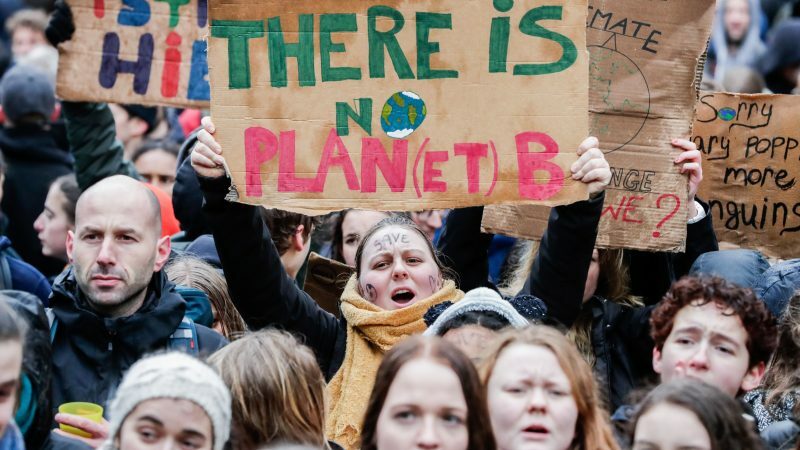 So many people were arriving for the Brussels climate march Sunday that it had to start half an hour early. Sunday’s turnout was larger than the 65,000 who attended the last such march in Brussels on 2 December. 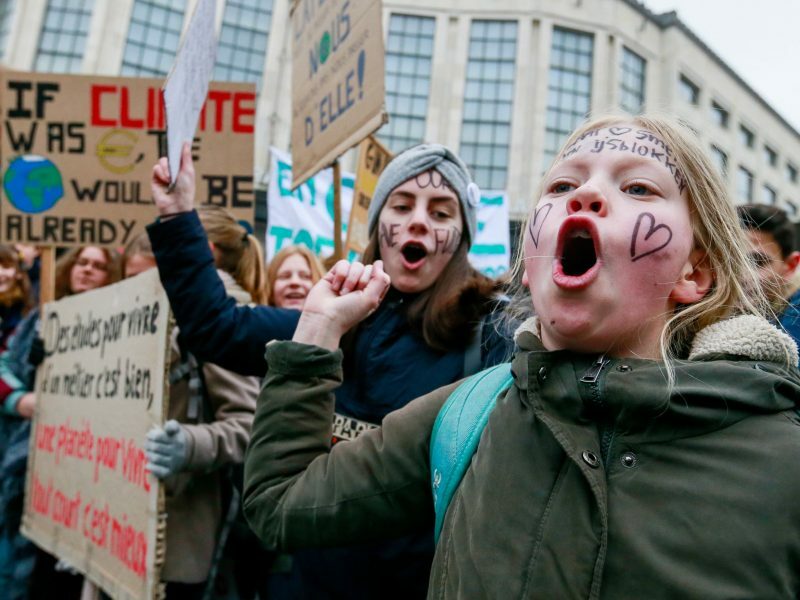 On Thursday, a march by school and university students brought 35,000 people out on to the streets of the Belgian capital. “All disaster movies start with the government ignoring a scientist” read one placard at the Brussels demonstration.